A traditional British seaside resort with Georgian heritage situated just 40 miles east of central London in Essex, Southend is home to the longest iron pleasure pier in the world, measuring 1.33 miles to the end. Attracting in excess of six million visitors every year, one of Southend’s main features is the ‘Golden Mile’, a dazzling row of amusement arcades and attractions guaranteed to entertain - the perfect back drop for a fun filled treasure hunt! The town is also home to several festivals including The Festival of the Air, one of the largest free air shows in Europe and the Southend-on-Sea Film Festival under the patronage of actor Ray Winstone. What better place to try your hand at directing during our Commercial Break filming event? A traditional destination with a twist, Southend is sure to play a welcoming host to any team building event you are planning in Essex. Fill in a quick online enquiry or discuss your away day plans with our friendly sales team on 0845 006 06 06. We are sure to find the best event options for your stay in Southend. Situated in the heart of the stylish tourist area, overlooking the mouth of the River Thames, the Park Inn by Radisson Palace boasts 137 comfortable rooms and seven meeting suites including a large ballroom. A great choice for your next team event in Southend-on-Sea! 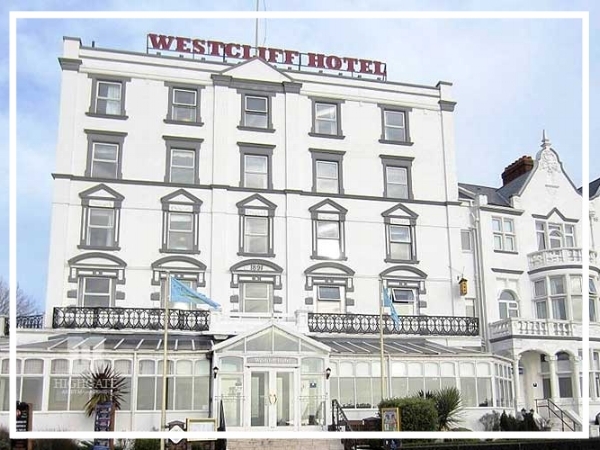 A charming Victorian hotel close to the seafront, The Westcliff has a rich history and offers spectacular views. Providing individually redecorated rooms and five business suites, it has everything necessary for a fantastic team building event in Southend.